B.C. 's Bobby Prochnau is accelerating to the top in the endurocross world. With two wins and a second place under his belt so far in the 2011 season, things are looking up for the 25-year-old logger. Fuelled by ambition, dreams and a love of travel, Daryll Naidu and Angela Laarakkers are crossing continents. Wherever you go around Big River, Saskatchewan, you won't be far from a majestic body of water. The Bulkley Valley (BV) Quad Riders is an active group that sees involvement in several communities around the region. Nothing wrecks a great day of riding or sledding like breathing in and choking on kicked-up dust and fumes. Protect your lungs with the RZ Mask—a neoprene covering with replaceable, carbon-activated filters designed to prevent 99.9 per cent of airborne particles from entering the lungs. Not only is it recommended for dusty conditions, the mask is also good for use in cold temperatures, as it keeps the face warm and won't fog glasses or goggles. The straps are hand-washable and the mask comes in several colours—from camouflage to pink. It is also useful in industries such as farming and construction. 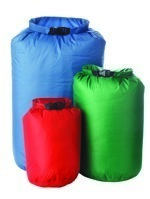 Stow your gear away in dry bags made by Coghlan’s, a company specializing in outdoor camping accessories. These lightweight nylon bags come in different sizes—55 litres, 25 litres and 10 litres—and the seams are taped and waterproof. The dry bag can be used to prevent extra clothing or equipment from getting wet or dirty on the back of your ride—whether it be a sled or a quad—though it won’t keep out water if completely submerged. Trevor Pearson, the Team Green Rider of the Year in 2010, attributes his success to having the support of his entire family.